Searching for Land Rover repair near Cotati? Give RPM Automotive Services a call. We provide the best Land Rover car repair, and Land Rover Service near Cotati. We service popular models such as the Range Rover, Range Rover Sport, Range Rover Velar, Range Rover Evoque, Discovery, Discovery Sport, and Range Rover PHEV. What started as a simple sketch in the sand, has turned into one of the most successful vehicle brands of all time. 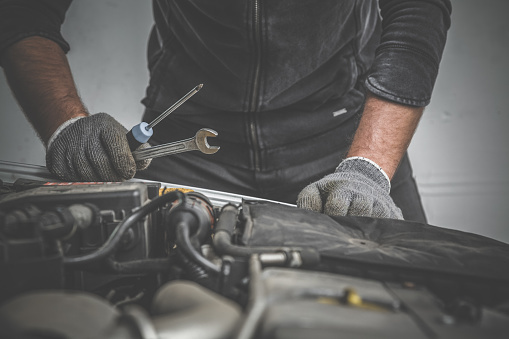 Whether your Land Rover has electrical problems, oil leaks, steering shaft problems, parking brake failure, or any other mechanical issues, we can help with your Land Rover car repair needs. We provide Land Rover parts and service cheaper than the dealership. We are family owned, professional ASE & ASCCA certified repair shop. We even provide a shuttle service and loaner vehicles. Whether you need a shuttle to work or back home, we have got you covered. If you choose to wait while your Infiniti is being repaired, we also have a waiting room with coffee, magazines, and free WIFI. Check out this review from one of our customers Davynna N. 5-Stars “I'm a big fan of RPM I've been using their services for some time now. They are very professional, knowledgeable and have a great team of mechanics rounding out their staff. I drive with confidence knowing I have the RPM team on my side! I sacrifice a three hour drive just make sure my baby is seen by the most honest and caring company, and that is RPM”. We understand that Land Rover manufactures unique vehicles that need a very specialized and detailed technician to get the job done right. This is the very reason we have a technician on staff that specializes in Land Rover. If you bring in your vehicle, and somehow the same problem occurs again within 2 years or 24,000 miles, we will warranty all parts and labor for free. Give RPM Automotive a call for the best Land Rover repair near Cotati.